A progenitor of the reinvention of documentary photography in the charged territory of apartheid, David Goldblatt`s immense photographic corpus comprises critical, historical and social documents representing the legacy of colonialism through the post-apartheid period. 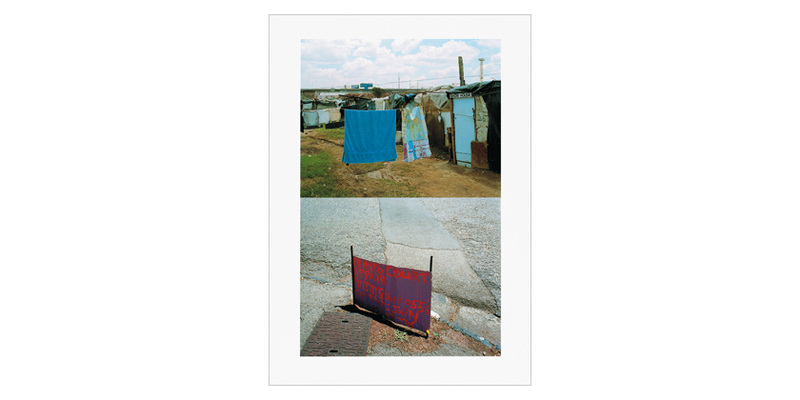 In a quiet and ambivalent way, Goldblatt negotiates both personal and political aspects of the South African landscape, recording the obscure, in-between sites that register and reverberate the memory, territory, history, and architecture of apartheid. The two photographs, Joburg Intersections, shown here, are part of visual explorations of some of the changes that have come to Johannesburg since the end of apartheid.